Some guys just require a little extra push to boost their sexual appetite and strength strength and their sexual appetite. https://viagradirect.net/cialis-australia.html is quite popular. 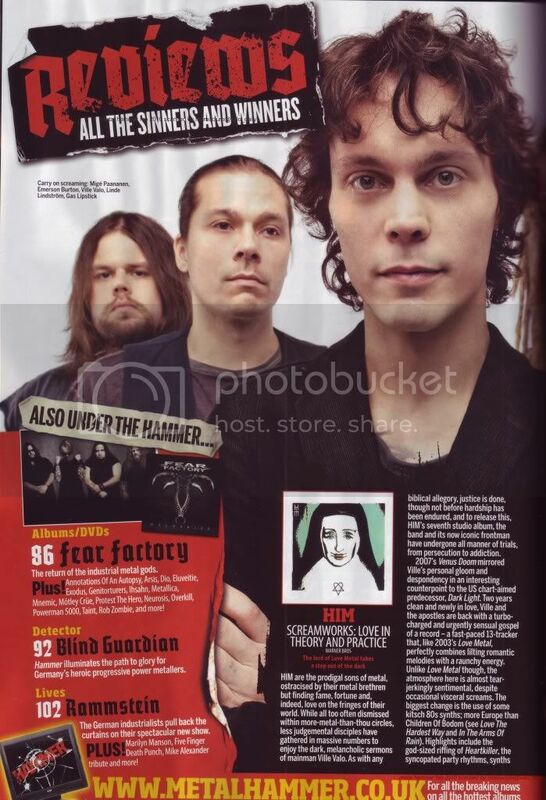 In the February 2010 issue of Metal Hammer Magazine. 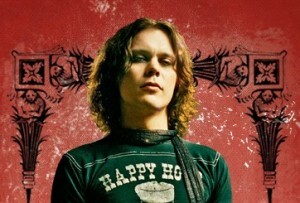 “The difference between this album and the previous is like day and night. Venus Doom was the doomiest moment for the band, even though I loved it, we can’t keep making the same thing over and over. This one is as straight forward as possible. Much faster. 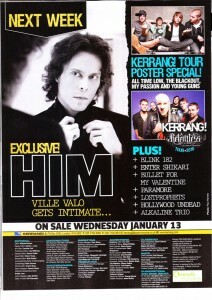 there aren’t any ballads” Ville Valo in Rock one magazine. 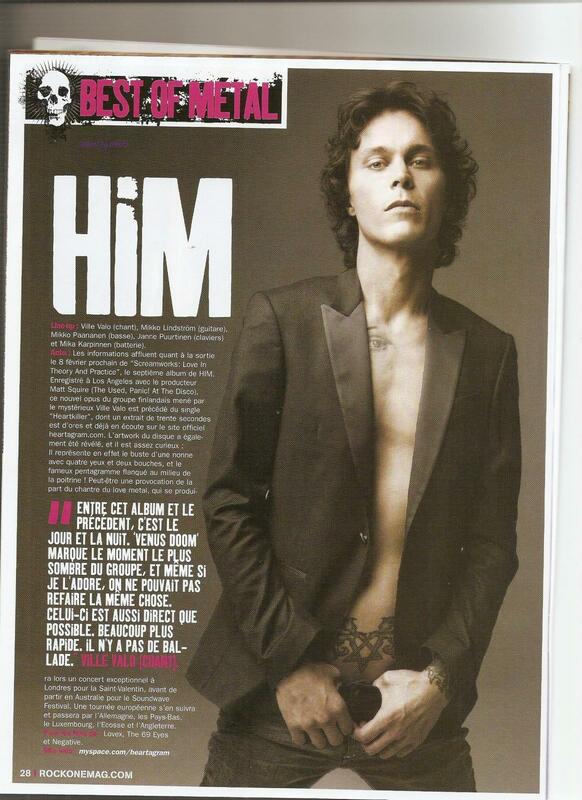 Rock One Magazine speaks about HIM’s new album Screamworks: Love in Theory and Practice. 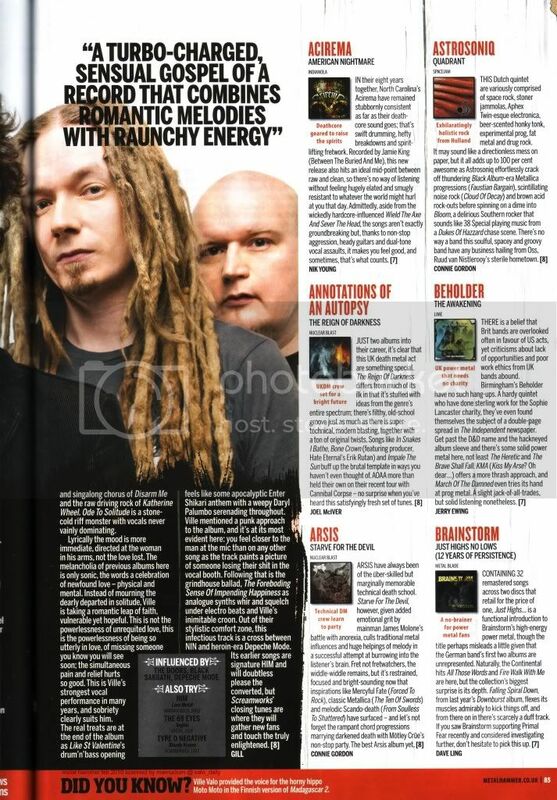 It mentions it’s release date (February 8th) and that it was produced by Matt Squire. 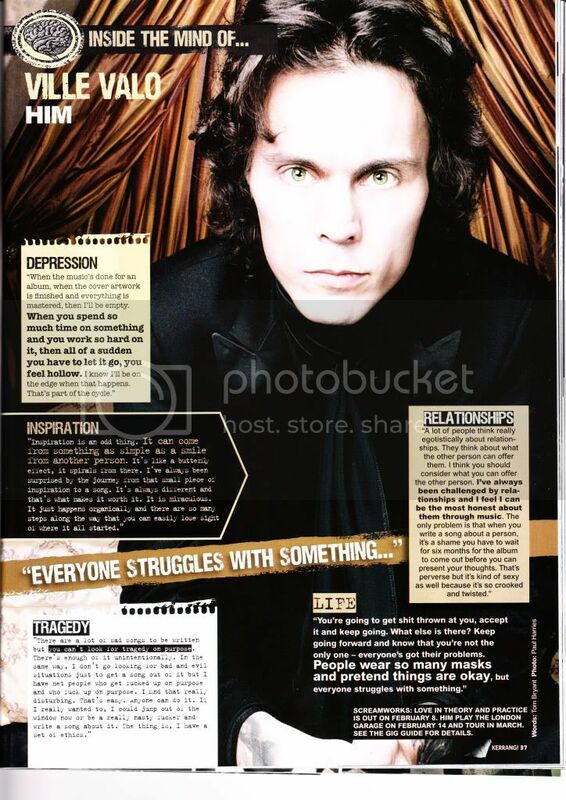 It also speaks about their first single Heartkiller and the album cover to which they refer to as ‘curious’. 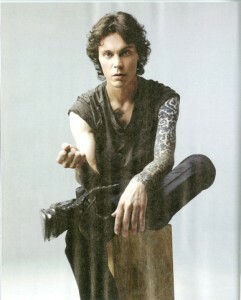 Thanks to villelover1976 @ livjournal and nimoti for the scan.